Greetings from Conference Board San Diego! We’re on the ground hearing from employers, the pioneering purchasers of healthcare in the U.S., on how they’re advancing employee health. We’re inspired by the depth of the discussion around navigation services. We’re hearing how employers who are focusing on quality are raising the standard of healthcare for their entire employee population. And we’re having real conversations about how our customers can challenge us to be their trusted partner in creating better healthcare experiences. We were thrilled to share the stage with Jarred Hall from Walmart to kick-off the first day of the conference. Jarred is unrelenting in his commitment to improving the quality of care for all of Walmart’s associates! 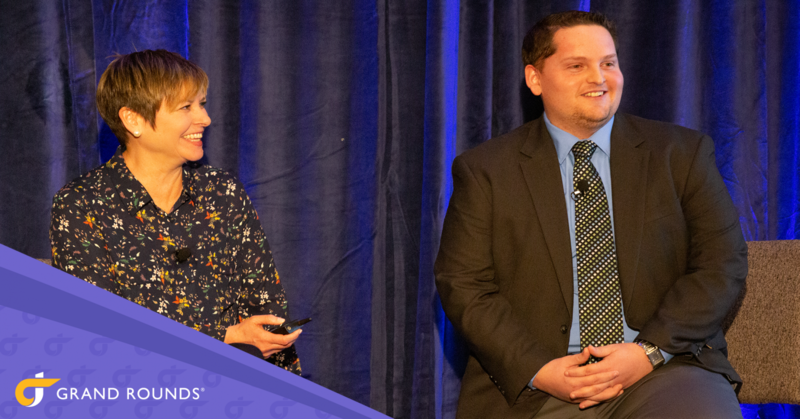 In this video, hear from the Grand Rounds team on what they took away from Jarred’s presentation and what topics are being discussed across the conference.